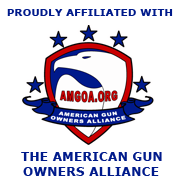 pa2a.org » The Armory » Firearms » Pistols » The Snubbie Thread! 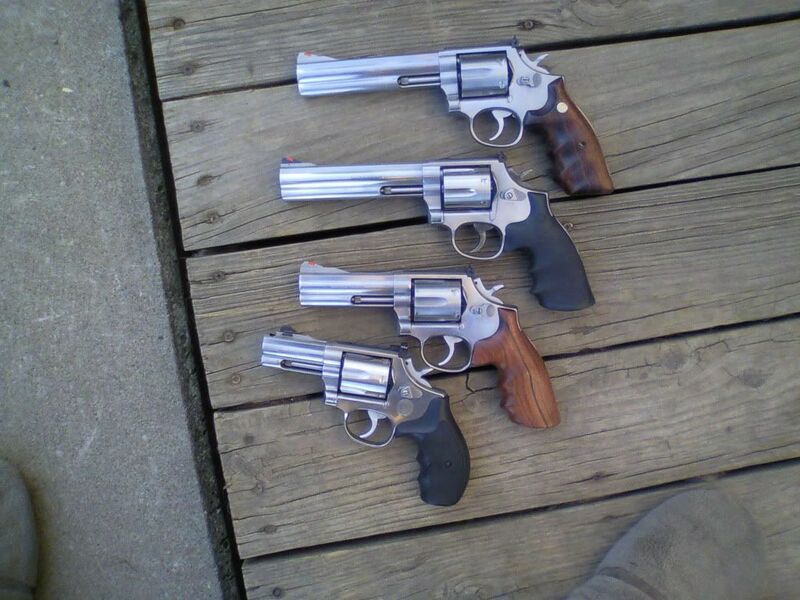 Top one is a S&W 642. Bottom one is a Taurus 85UL. 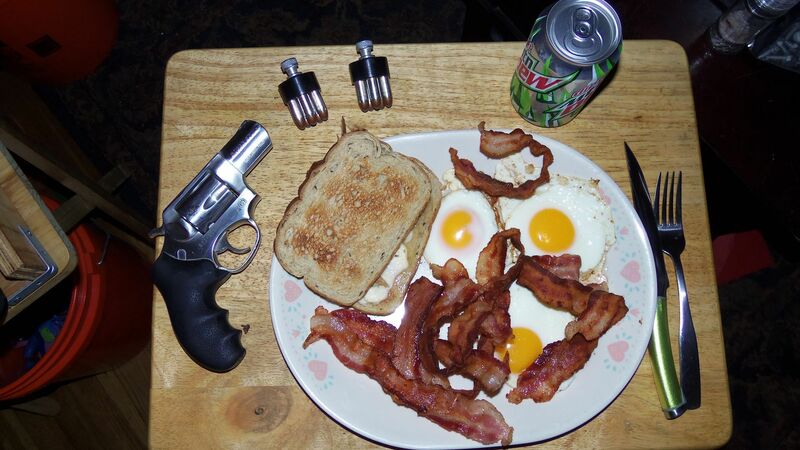 Ruger SP101 2 1/2 barrel .357 ... HKS speed loaders ... Corbon Pow'RBall .357 magnum rounds ... BACON, eggs, rye toast and a Diet dew. The one on the bottom is a 2 1/2" ported custom shop 686. I have a few other snubbies that I will take some pics of and post. soberbyker;80430 Wrote: Ruger SP101 2 1/2 barrel .357 ... HKS speed loaders ... Corbon Pow'RBall .357 magnum rounds ... BACON, eggs, rye toast and a Diet dew. Pretty sure all that bacon cancels out the diet dew. I've got a BAD itch for a 686 and Norman isn't helping things. Nice wheel guns guys. brownman;80591 Wrote: Pretty sure all that bacon cancels out the diet dew. I drink the diet version of soda to eliminate sugar, not because of weight loss. colt commando with the 1.875" barrel. soberbyker;80604 Wrote: I drink the diet version of soda to eliminate sugar, not because of weight loss. Hard to tell sometimes. Anyway, if you've ever seen me a diet is something I could use, it's just not the reason I drink diet soda. Just remembered this thread. I currentl have a Rossi 462, on indefinite loan from my brother. It's a solid little gun, chambered for .357, and sweet looking in stainless steel. Only problem I have is finding grips and holsters for it.